EDU Investors conference Almost sold out! ForProfitEDU has partnered with The Capital Roundtable for their conference on Private Equity Investing in Education Companies. For registration or inquiries, just call Shaina Mardinly at 212-832-7333 ext. 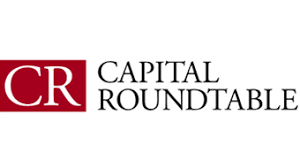 0, or email her at smardinly@capitalroundtable.com. Please be sure to use For-Profit EDU Group name. I hope to see you on January 13 for what promises to be a great day.